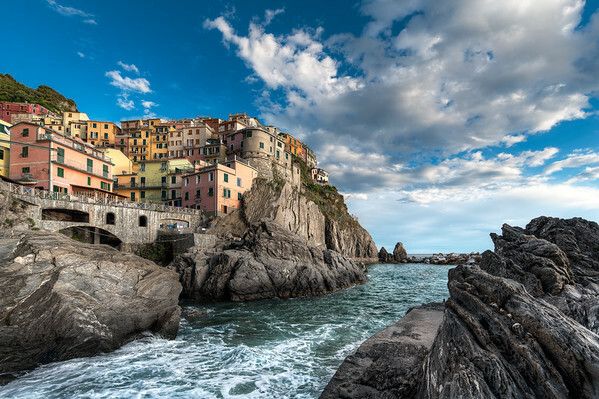 A warm sunny afternoon on the rocks overlooking the beautiful Riomaggiore, Italy. 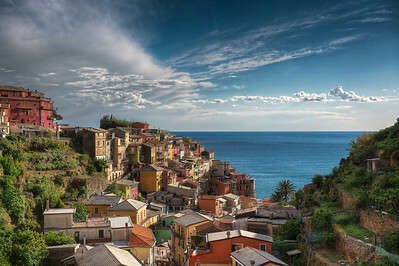 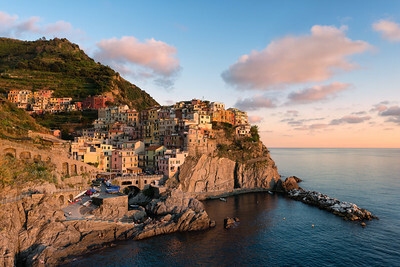 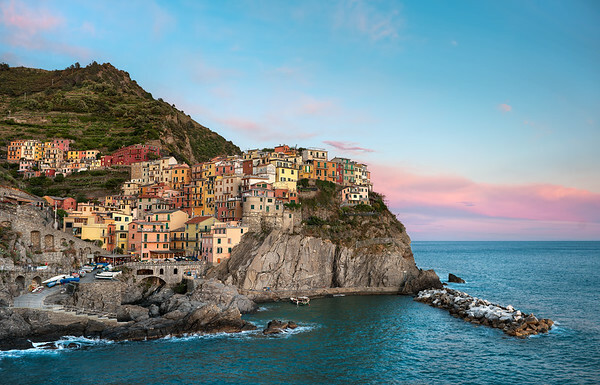 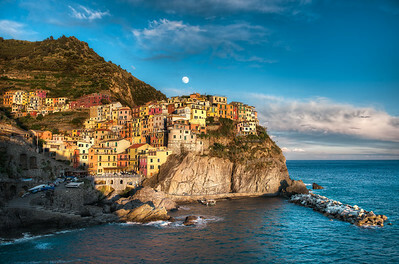 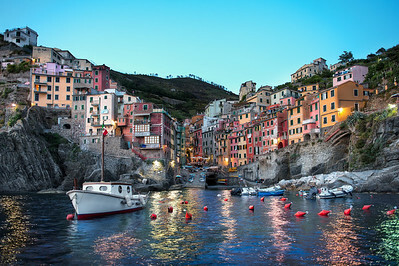 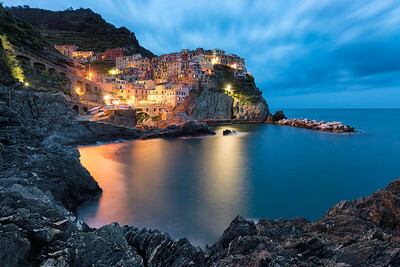 The colors of Manarola Italy are so stunning that they look like a painting. 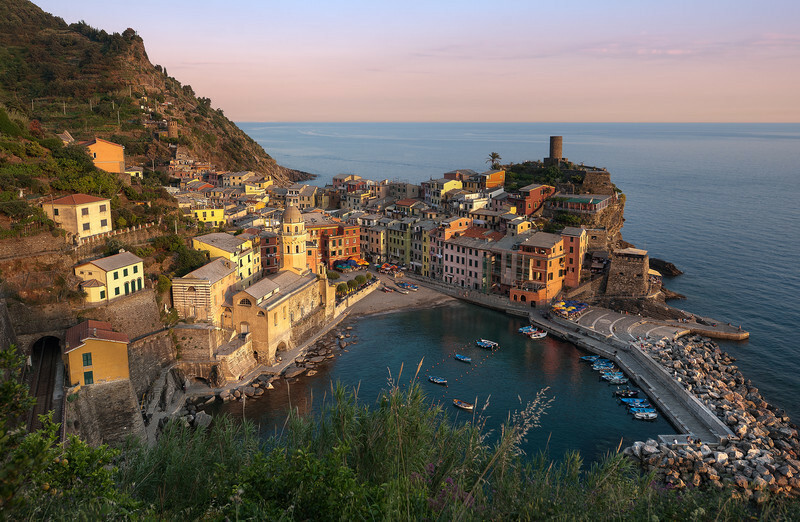 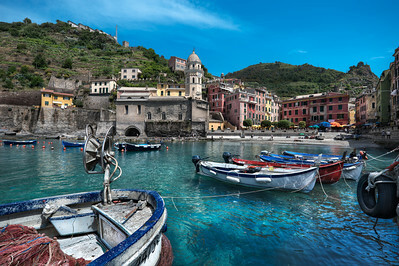 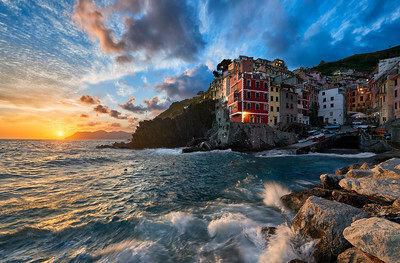 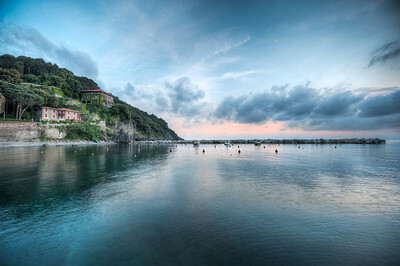 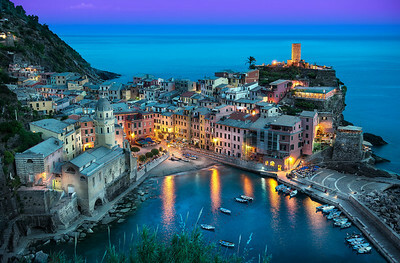 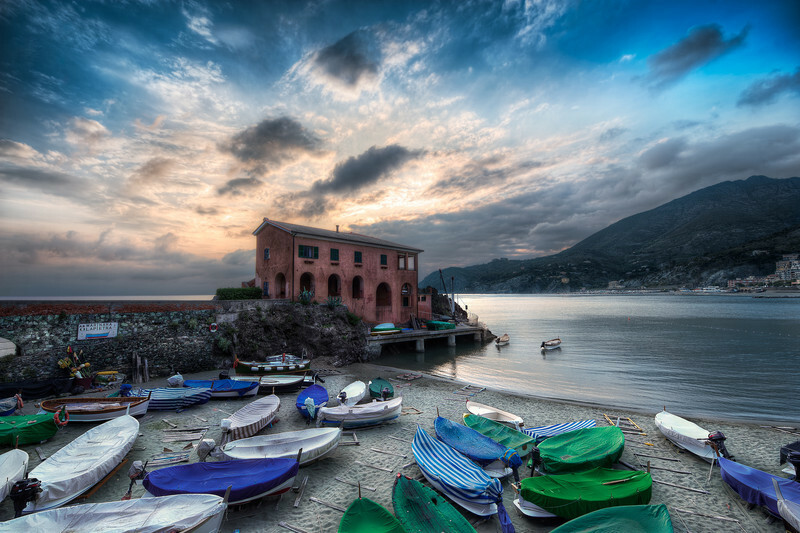 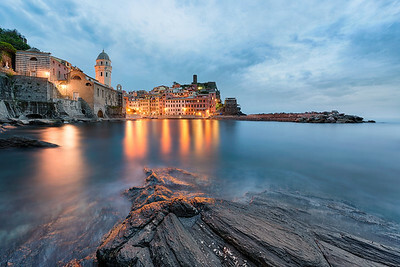 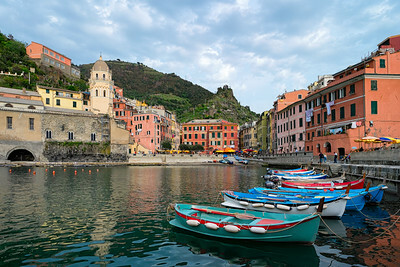 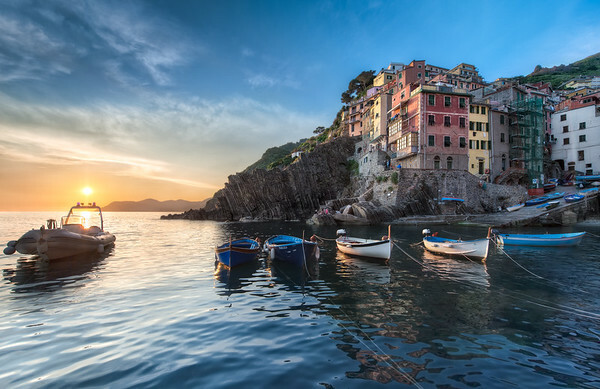 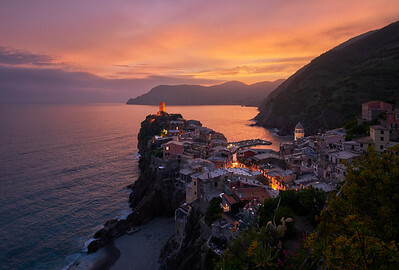 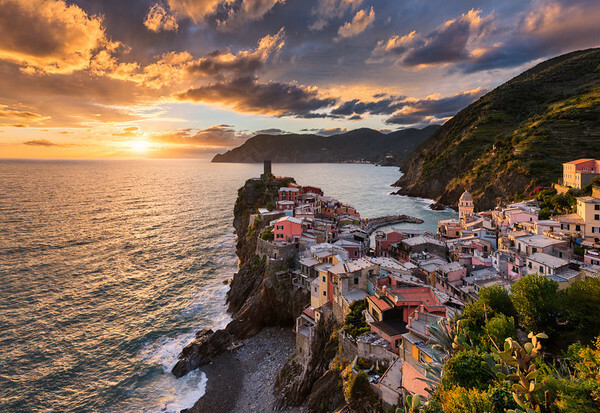 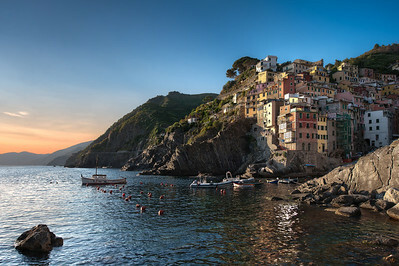 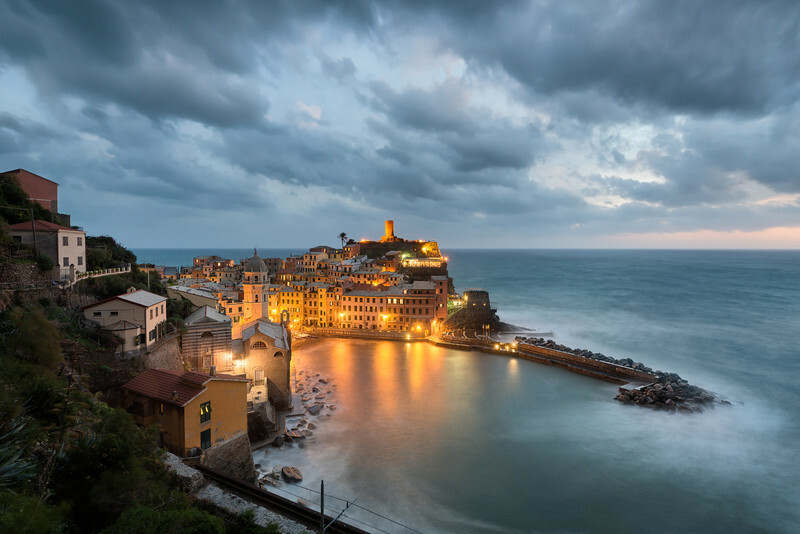 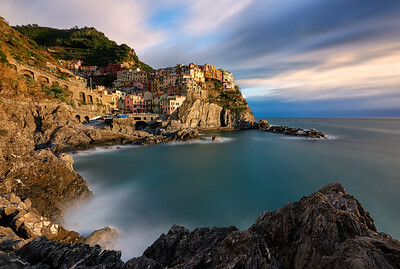 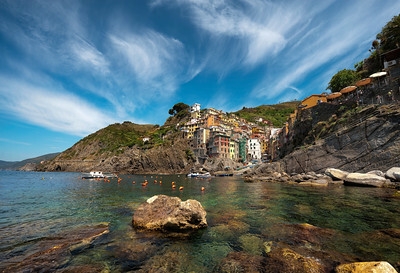 A dramatic tide rolls into Manarola, Cinque Terre - one of the most beautiful seaside villages in the world.